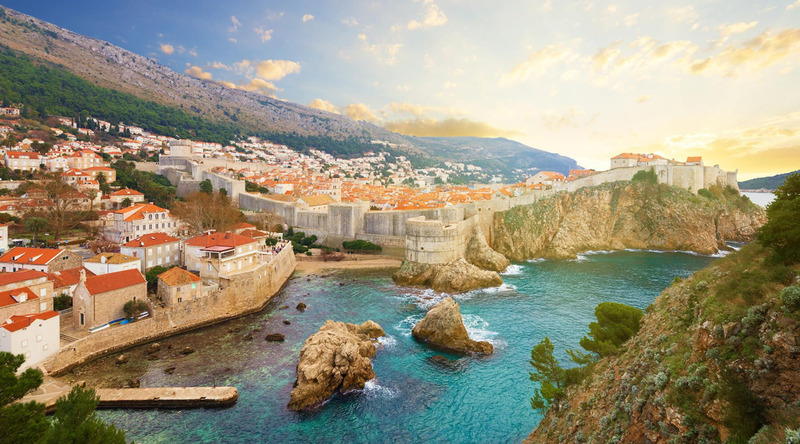 From Dubrovnik’s city walls to the cascading waterfalls in Plitvice National Park and island hopping along the Dalmatian Coast, Croatia is one of eastern Europe’s top vacation spots. With a seemingly-endless stretch of spellbinding coastline, perfectly-preserved medieval cities, cascading waterfalls and azure waters, in a single day, one can easily go island hopping around the shimmering Adriatic Sea, relax on a sun-soaked beach, wander around a charming old town and still make it back to their hotel in time to admire a rose-hued sunset with a cocktail in hand. Despite being a popular summer playground for well-heeled jetsetters who flock to glam islands like Hvar or bronze their bods during Yacht Week, Croatia is still budget-friendly which also makes it a great option for families or backpackers. The small country is often visited as part of a road trip around the Balkans or on a Mediterranean cruise, and airlines such as Air Transat offer direct flights to Croatia which makes getting there a breeze.